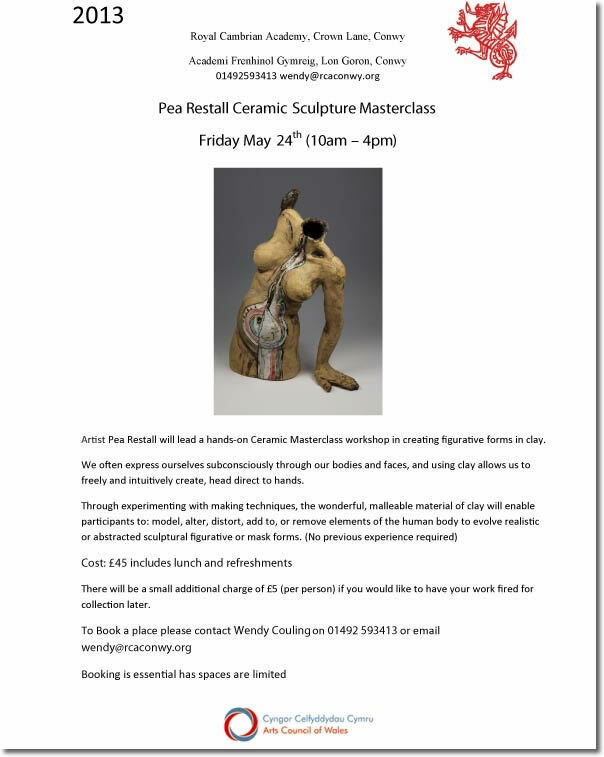 Pea Restall will lead a hands on clay workshop in creating figures in clay. Throughout our lives, our bodies and minds constantly change and you will be able to consider this through creating and altering the human form in clay. 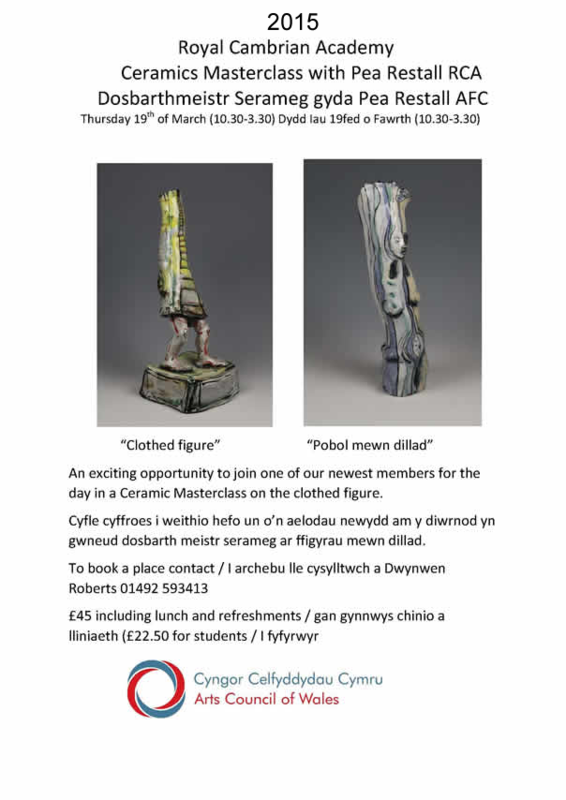 Clay is a wonderful, malleable material and will allow you to create realistic or abstracted figures, and through modelling, altering, distorting, adding or removing elements of the body, you will consider 'What makes us human?' No previous experience required, all materials provided. Please wear suitable work wear. 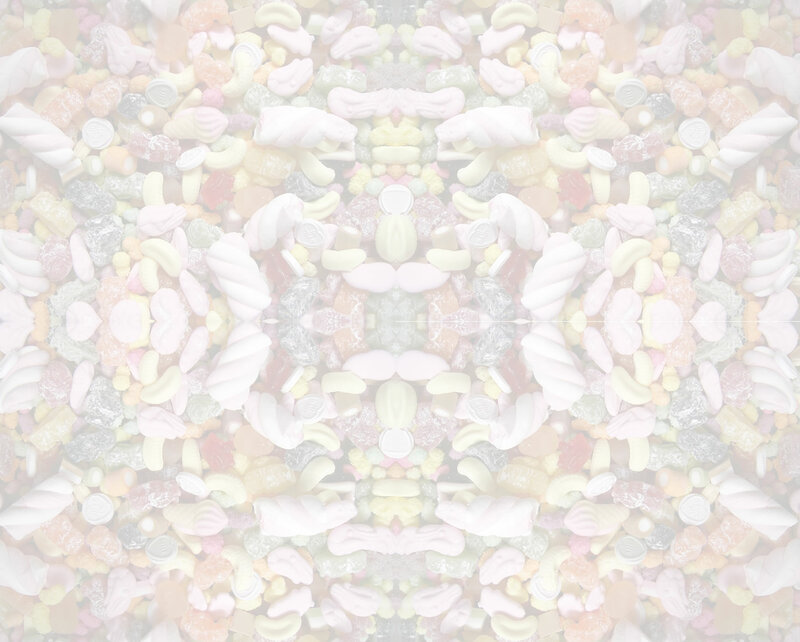 There will be a small additional charge if you would like to have your work fired for collection later.